The Rev. Dr. Kosky Mathews, our rector, was born in India and raised in the Mar Thoma tradition of the Eastern Orthodox Church. After coming to the United States in the early 1970s, he received his Master of Divinity degree from Princeton Theological Seminary, Master of Education from Harvard Graduate School of Education and Doctor of Ministry from Episcopal Divinity School, Cambridge, Massachusetts. He and his wife Susan have two grown children: Ranjit, who with his wife Johanna and grandson Dhruv, in December 2017 became Rector of St. James Episcopal Church in New London CT. and Manju, a Social Worker, lives in Danville, CA and serves as the Director of Behavioral Health Services at Axis Community Health in San Francisco Area. Prior to coming here, Fr. Mathews served as interim priest at Epiphany Parish, Walpole and St. Chrysostom, Wollaston, and as associate rector at Christ Church, Needham in the Massachusetts diocese. He accepted the call to serve as rector of St. Peter’s Church Phoenixville in January 2006. Deacon Joe Dietz was ordained to the vocational diaconate in October 1994. He served at St. Peter’s for nearly 5 years under the Rev. Thomas Wand and came back for a few years as deacon assistant under the Rev. Marie Swayze and the Rev. Robert Miller. Joe is currently serving St. Peter’s as deacon assistant since 2011. He assists with the Sunday services, leads Sunday Bible Study and serves on the Food Pantry Committee. We are blessed to have Derek Maninfior as our new Director of Music. He joined us in July 2018 as our organist and choirmaster, replacing Karen Greene, who remains a parish member. Derek leads both the adult choir and children’s “Treble” choir, which had both experienced strong growth in the past 2 years under Karen’s leadership. Choir music is an essential part of St. Peter’s inspiring and uplifting services. Derek comes to us with extensive training and experience in piano performance, teaching, rehearsing, accompanying, and leading the musical aspects of worship. He previously served as Director of Music at The Presbyterian Church of Chatham Township, New Jersey and as principal organist at St. Charles Borromeo Church in Charleston, Illinois, where he provided music for worship services and led the church choirs. He has also served as accompanist and associate instructor of piano at the Indiana University Jacobs School of Music, as well as collaborative pianist at 3 Eastern Illinois University and associate counselor and coach at the Indiana University Piano Academy. In 2015, Derek was first prize winner of the Bradshaw & Buono Piano Competition and also performed at Carnegie Hall. In addition to other honors in prior years, Derek was named Gilmore Fellow at the Gilmore Piano Festival in Kalamazoo, Michigan in 2014 and was awarded the Artistic Excellence Fellowship at Indiana University in 2012. Derek received his Bachelor of Music in Piano Performance at Eastern Illinois University and his Master of Music in Piano Performance at Indiana University. Derek lives in Philadelphia, Pennsylvania, with his wife Elizabeth. Special thanks to our Music Director Search Committee: Marty Bloem, Shelly Brennfleck, Ron Druckenmiller, Emma Martz, Karen Martz, and Catherine Wenger for their help and dedication to finding Derek as our new Director of Music. Judy has been the Parish Administrator since March 1996. She is the mother of 3 and grandmother of 5, is an avid gardener, enjoys reading books by many authors and spending time at the New Jersey shore. Since moving to Phoenixville in the late 1970’s, Saint Peter’s Church has been a huge part of my life. My husband, Don and I were married here, my children were baptized here, and my heart has been here since the early days. I have made many friends as I continue on my spiritual journey, and I anticipate making many more supportive relationships. I have been a part of several ministries over the years, but my main focus has been in the area of New Member Ministry and the Community Lunch program. Jan is head of the Children’s Ministry, including Godly Play and Children’s Chapel. An accomplished painter and artist, Jan brings colorful artistry and creativity to everything she touches. “My wife, Caitlin, and I knew almost immediately that St. Peter’s would be our faith home after we visited in the fall of 2013. The members make everyone feel welcome and it is a community that each member is proud to be a part of. I was approached early on to help out as treasurer and then ultimately as a member of Vestry. This has been an overwhelmingly rewarding and positive experience. I have grown as a person and have developed meaningful relationships with other members of St. Peter’s. I chose to participate in this manner because I want to help ensure that St. Peter’s is around in Phoenixville for years and years to come. I moved to Phoenixville in the summer of 2016 and began to look for a church community that would be inclusive and provide active missions to support others. St. Peter’s has welcomed me and I discovered a church home filled with a sense of community and passion for others. My husband, Bill, and I were married for 47 years and lived in the Cleveland area. We raised three sons, who are all prospering and are spread across the country. I have 7 wonderful (of course) grandchildren. I am now happily involved with the three granddaughters who live here. My decision to move to Phoenixville came after my husband passed away. I had worked for the NASA Glenn Research Center for 30 years and after a fulfilling and creative career, I was ready to retire. I have a Master’s Degree in Library Science and used this to support a wide variety of teams by assisting them to create information, organize and share it internally and via the web. At Peter’s, I have been a volunteer for the food pantry for the last 6 months. I am also a member of the Environmental Ministry, a Lector and support Helping Hands. I have thoroughly enjoyed working with the dedicated team members at St. Peter’s. I am a passionate believer in the missions that support both the internal needs of the church and the service to those in the community. I would like to serve on the Vestry to be a part of the team that will have an active role in supporting the continuation of a very positive future for St. Peter’s Church. 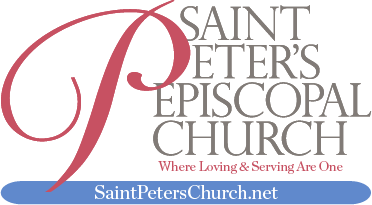 I have been a member of Saint Peter’s since 2012, along with my husband Dave and children William and Ella. Having been raised in the Roman Catholic Church, we had been searching for a spiritual community that better matched our values and felt like a spiritual home. After visiting several local churches, Saint Peter’s was recommended to us. We immediately felt welcomed and we connected to the open and inclusive mission of the church and have been active members ever since our first visit. I feel a spiritual fulfillment as a member of the Saint Peter’s community that I have not previously experienced. In addition to serving on Vestry, I am also a member of Altar Guild and Discernment Committee, a Godly Play Door Person and a Lector. Dave and the kids are also actively involved in many different ministries but we all feel that we get much more than we give when it comes to Saint Peter’s. I have been attending St. Peter’s Episcopal Church with my wife, Aimee and two daughters Audrey (9) and Ava (7) for a little over two years. I was raised in the Methodist Church and Aimee in the Catholic Church. After moving to Collegeville, we began searching for a church in which we could both be comfortable. We found that on our first visit to St. Peter’s. we were struck by the friendliness and open arms of the congregation as well as the number of missions a church of this size has accomplished. Last year we had our two daughters baptized at St. Peter’s, I have begun serving on the Capital Campaign and Aimee is serving on the Discernment Committee. We have continued to be impressed with Father Koshy Mathew’s spiritual guidance and leadership. Outside the church, I am a managing principal and architect at a firm that specializes in designing senior living communities, primarily for non-profit mission-oriented organizations. Often in this role, I’m assisting communities in reinventing themselves by building on their strengths. St. Peter’s is not a community in need of reinvention, however as we transition to a new rector, the next couple of years will be critical to the future of our community and ministry. My interest in serving on Vestry is to help to continue building on the great community and spiritual foundation that has been established here at St. Peter’s. Vince is a Eucharistic minister, former choir member, and hosts the annual autumn church picnic at The Copperfield Inn, in Limerick. This September, he is hosting a St. Peter’s Columbarium fundraiser. As a fourth-generation Chinese American son of Boston Chinatown community activists, and the eldest grandson of 1952 Maine and American Mother of the Year Toy Len Goon, I grew up with high expectations of responsibility, leadership and service to others, especially to make life better for immigrants and others lacking a voice at the table. In 2015, I came to St. Peter’s Episcopal Church and immediately knew I had found a spiritual home — full of openness, diversity, music, compassionate outreach, and opportunities for community service. I jumped into the choir, lectoring, Stewardship, landscaping, and currently play a leading role in upgrading our website. My wife Sherry and I have performed ballroom and Latin dances for Father Koshy’s 10th anniversary celebration and the annual Phoenixville Multi-Cultural Festival. We have 3 adult children who attended our wedding at St. Peter’s in October 2018. I have 40 years of experience as a bank and software Business Analyst and management consultant, and currently work at JPMorgan Chase in Jersey City and NYC. Thank you for the opportunity to introduce myself and share my St. Peter’s story. When my son Tate was born I reached out to Father Hyatt who had been my childhood minister at Trinity Church Gulph Mills. I wanted him to baptize Tate and that was our introduction to St. Peter’s. We began attending regularly and have been at the church for about ten years. In that time I have come to appreciate many things about St. Peter’s, but the aspects that stand out to me are the welcoming, friendly, diverse and supportive community. I have come to view St. Peters as part of my family. I am a licensed counselor who has worked in the employee assistance field for over twenty years. I help clients locate resources for emotional issues and work/life stressors. I decided to run for vestry because we are in a time of transition and I think I can provide some perspective as a parent, pantry volunteer, and Godly Play teacher. I also believe in the mission of the church and want to work to expand God’s presence in each other’s lives and the community. I believe that we accomplish this by our own service and involvement. During the past few years, Mona has very much enjoyed getting to know the wonderful people of St. Peter’s Church. She finds the church welcoming to everyone as it reaches out to the community, both locally and globally, through its many missions. In addition to serving as the Clerk of the Vestry, she has had the good fortune to work with a great group of people on the Stewardship Committee and to serve as a door person to the children’s Godly Play program. At home she enjoys her role as mother to her daughter and son-in-law, as Marmie to four grandchildren, and as caregiver to dogs, chickens, a cat, and a horse.